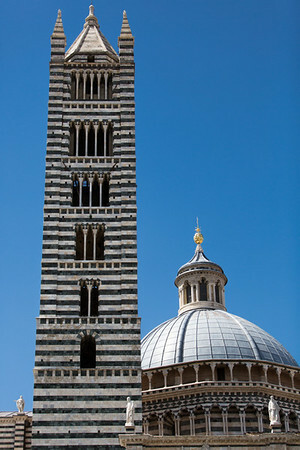 The black and white marble of Siena's El Duomo contrasts with a perfect blue sky. Canon 5Diii and EF70-200 mm f/2.8L IS II at 70 mm. Exposure was 1/2500 sec at f/2.8; ISO 100.